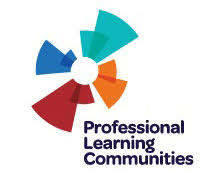 Home » WHAT ARE PROFESSIONAL LEARNING COMMUNITIES? The fundamental purpose of schools is to ensure high levels of learning for all students. In professional learning communities the emphasis is on embedding student learning into the day-to-day work of the entire school. A professional learning community can best be described as a collaborative culture; a culture in which collaborative teams work to ensure all their students learn. Professional Learning Communities embed a collaborative culture within the day-to-day life of schools by organizing teachers into collaborative teams. There are major differences between collaboration in traditional schools and the work of collaborative teams in a professional learning community. Teachers in traditional schools collaborate largely by “averaging opinions.” Collaborative teams in a professional learning community always approach problems or issues by first “seeking shared knowledge” — studying the “best that is known” about the particular topic being addressed. 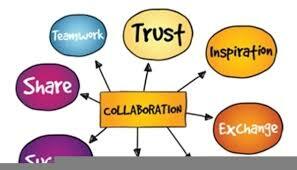 Most often, best practices are found within the collaborative team itself. Best practice may be found on another team or at another school. Best practices are often found in journals, professional organizations or on the internet. In a professional learning community teams of teachers become “students” of best practice. 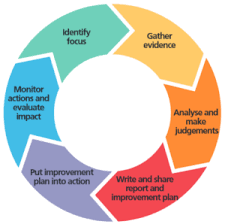 In a professional learning community it is not enough to merely learn about “best practices.” There is an emphasis of action, on doing — closing the gap between what is known about best practice and what faculty and staff actually do day in and day out. 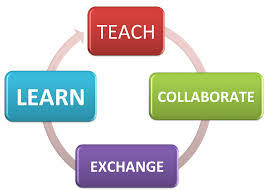 Ultimately, a professional learning community is a culture of experimentation — of “doing.” By constantly seeking new and better ways of doing things, by trying them out and collaboratively analyzing the effectiveness of their efforts, the staff of a professional learning community moves beyond the status quo to create a culture of continuous improvement. In a professional learning community teams of teachers are continually analyzing student learning. They reflect on the effectiveness of their own professional practice. They seek to gain deeper understanding regarding ways to improve their effectiveness. Most important, they set meaningful improvement goals. The key to understanding the power of professional learning communities is to understand the power of collaborative teams taking collective responsibility for results.